Book with SCAS for your MOT Testing in Weymouth. South Coast Auto Solutions are an official MOT test centre being able to carry out Class I, II, IV, and VII, situated on Oxford Court on the Granby Industrial Estate in Weymouth. We offer a while you wait MOT service with a customer viewing area, so you will be able to come and relax over a coffee while we carry out your MOT. If you are looking for an MOT testing centre in Weymouth, we don’t think you’ll be disappointed by our friendly professional team. Of course we offer free retests should your vehicle fail the MOT and we carry out any repairs. Looking for a trustworthy MOT centre in Weymouth? 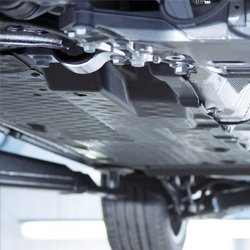 We offer full MOT services as well as competitive costs on any repairs should you need them. If your vehicle should fail and MOT then we will re-test for free, providing that we carry out the work required within 10 working days of the test date (excluding Saturday, Sunday and bank holidays). Our MOT rates start from just £25 for Motorbike (class I & II ), £35 for class 4 vehicles such as cars of up to 8 passenger seats & motor caravans and £50 for class 7 vehicles. If you are unsure of whether or not your vehicle will pass an MOT or you may wish to have any necessary work carried out before your MOT then we offer a pre-MOT inspection. The law states that you must keep any vehicles driven on the road in a roadworthy condition. The MOT test checks that your vehicle meets minimum road safety and environmental standards. An MOT test isn’t the same as having your vehicle serviced and doesn’t check its general mechanical condition. All vehicles require an MOT test by either the third anniversary of its registration or the anniversary of its last MOT, if it’s over 3 years old. You need to renew your MOT before it expires to if you wish to continue driving your vehicle. The earliest date you can renew is one day less than a month before it expires – this date is printed on the pass certificate. You must use an approved MOT test centre to carry out your MOT. Only centres showing the blue sign with 3 white triangles can legally carry out your MOT. You cannot drive your vehicle on the road if the MOT has expired. You could be prosecuted if caught. The only exception is if you have already booked an MOT and are driving your vehicle to the test centre. Excellent garage for all your needs and fantastic staff that care about their customers. 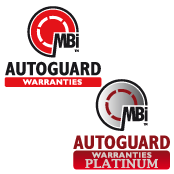 From mots to repairs and car sales, you can trust these guys 110% and at a great price too. Thank you Steve & team for all your help!